Get a grip! And we mean that literary with Woody's Twist Screws. 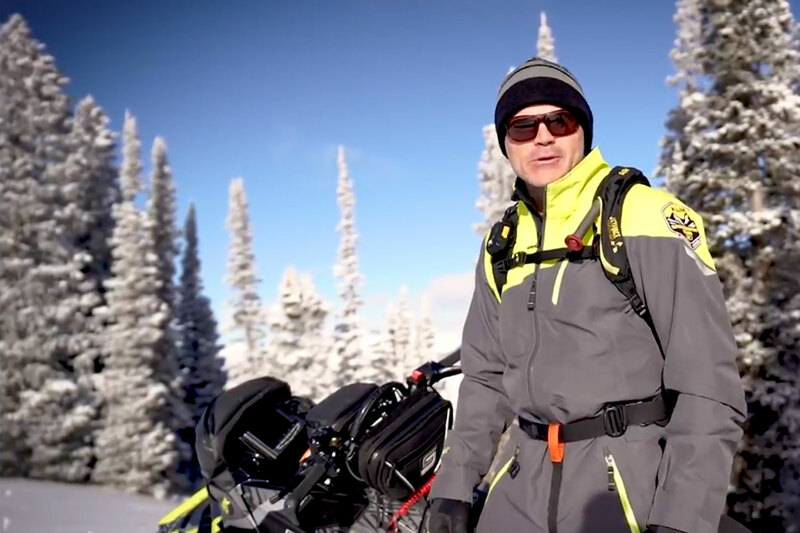 Whether the dead of winter or during the spring melt - icy conditions still exist and traction beyond the studs on your sled can be paramount for not only performance but safety as well. Woody's Twist screws are marketed to provide traction to waders, heavy equipment and everything in between. What's especially great about Woody's Twist screws is the ease of application. Simply pick from the four profile lengths, twist the screws in with the supplied installation tool and then walk, ride, drive over any slippery or uneven terrain. You'll have full confidence the carbide tip is penetrating the terrain giving you the utmost in traction and control. Once installed, the head of the Twist screws are encompassed by the lugs/tread and moves with them. This prolongs the life of the screw and gives superior traction. After the snow and ice melts away, simply remove the Twist screws and place them aside for next season - your soles, treads and lugs remain fully functional and with hardly a trace. 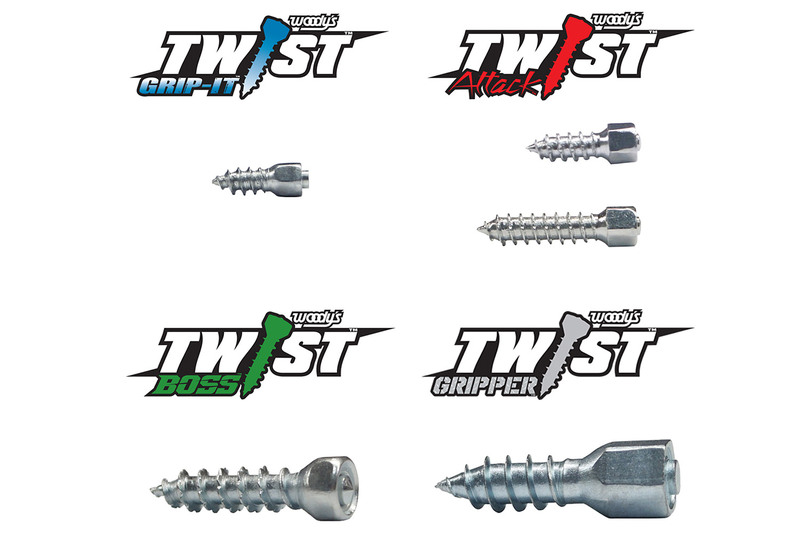 Similar to the Woody's top quality studs, Twist screws are made from high carbon steel and are zinc plated to keep them rust free. 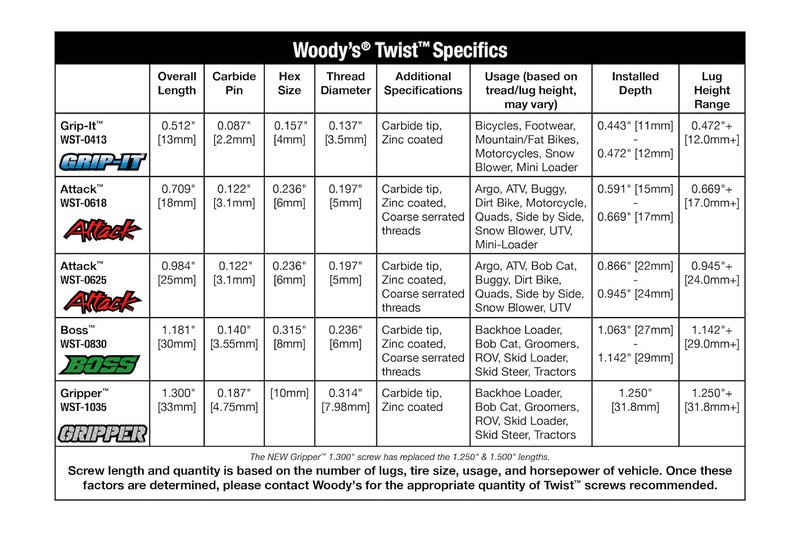 For more information on the full line of traction products including Twist screws visit woodystraction.com.